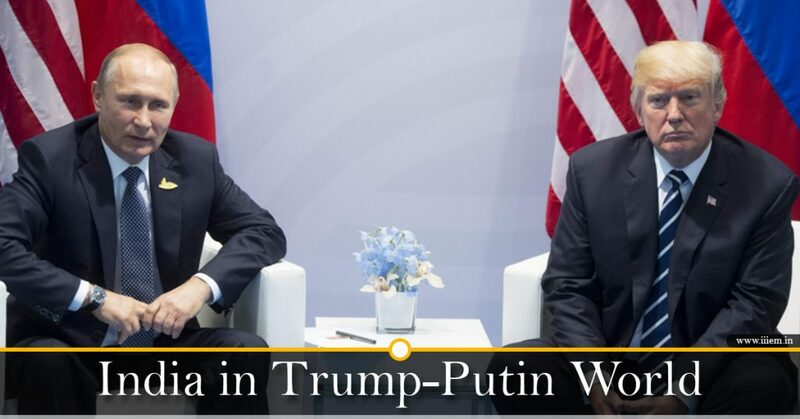 Historic event, The Presidents of Russia & U.S.A. meet in Helsinki, Finland. They chose a common ground to avoid eavesdropping while they have mutually benefitting dialogues. Is this the end of the frosty relations between Vladimir Putin and Donald Trump. Some call this meeting shameful, others judge it as peaceful. With Russia & USA becoming political allies, the world shall be in a better economical state. Let us understand India’s relation with Russia & U.S.A. too. What India needs to do is diplomatically continue its foreign trade, bilateral business relations with all biggies like, Russia, USA and China too. India must maintain its status quo with Russia & U.S.A. with flexible foreign policies. In my opinion, India must avoid conflict with the powers with which it has serious disputes. In these troubled times, transactional diplomacy, and not political posturing, holds the key to achieving India’s ambitious national goals. India’s major business in Russia comes from Black pepper, Tea, Bovine Meat, Rice, pharmaceutical products & other key exports included machinery and parts, beverages, aircrafts and parts and organic chemicals. Russia’s investments in India are of great significance in India’s growth. The historic joint venture between the two countries resulted in the world-class supersonic cruise missile, BrahMos, for which each side made equal contributions amounting to a total of US$ 300 million. Another recent collaboration between the two has been India’s newest and largest aircraft carrier, INS Vikramaditya, which was commissioned into the Indian Navy. Whereas the World’s largest economy too imports from India commodities like Basmati Rice, Tea, beef, spices, garments, orthopedic devices, and mica. Indian Soybeans, Sesame and cashew too are catching up in the USA markets. The U.S. goods trade deficit with India was $24.3 billion in 2016. That means, India exports more to USA and Imports of lesser value from USA. With Russia and USA shaking hands, India will see a better future to emerge as one of the largest economies soon.